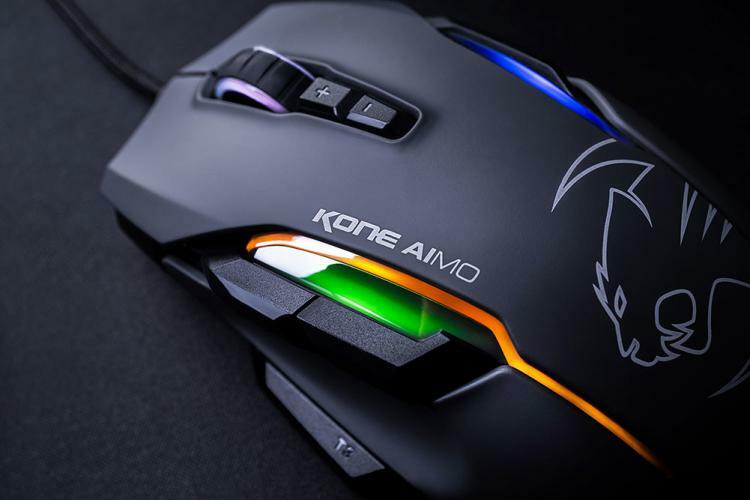 November 2017 - ROCCAT Studios proudly announces the worldwide availability of the eagerly anticipated Kone AIMO. The release of the new mouse marks ten years since the original Kone took the gaming scene by storm with the introduction of RGB illumination for peripherals. Building on the combined success of its predecessors as well as extensive gamer feedback, the Kone AIMO celebrates its legacy with an exciting feature suite. 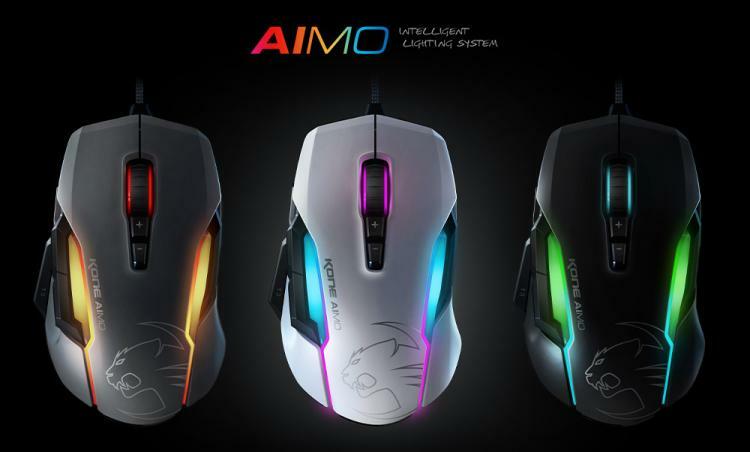 The mouse debuts AIMO - the eco-system for ROCCAT's new RGBA lighting engine - with additional products to follow. AIMO adds to ROCCAT's existing illumination technologies, vividly bringing light to life with a first-to-market system that reacts fluidly and organically, and grows based on your gaming behavior and compatible connected devices. Eliminating the need for configuration, it presents state-of-the-art illumination scenarios right out of the box. ROCCAT's acclaimed Owl-Eye sensor marks its return with the Kone AIMO. The optical sensor is the most precise and responsive on the market and is based on PixArt technology, with a design modified to ROCCAT's exacting standards. Its dpi is adjustable in 100-dpi steps from 100 up to 12,000, although the recommended range for a completely natural feel is from 400 to 3,000. The ergonomics of the mouse have been enhanced, all the while retaining the classic, fan-favorite Kone shape. The main refinement comes in the thumb area, with the addition of two narrow buttons which sit directly above the thumb and one wider button - bound to Easy-Shift[+] by default - below it. The revised thumb zone allows for intuitive and reflexive button pressing. Rounding out the feature set, the mouse boasts ROCCAT's robust and durable 4D Titan Wheel, OMRON switches certified to fifty million clicks and an updated Swarm software system.